In JTBC’s Wednesday and Thursday drama series Fermentation Family, Woo Joo (played by Lee Min Young) successfully made a comeback, and shows the pure charisma. 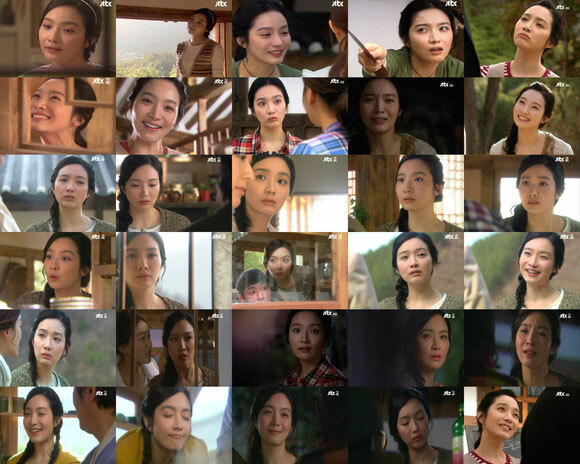 The many variety of her acting expressions have attracted attention. Woo Joo who loves to smile, but also loves to cry often makes some very strange sounds. People who saw her for the first time will at a loss at her innocent look. But everybody will be deeply moved by her innocent heart gradually. Lee Min Young asks people whom she first met the questions such as have you eaten or not. And she will also displays colorful expressions of naive, angry, thoughtful, loneliness and etc. Her pure charisma shows the Woo Joo’s characteristics just right. Particularly, Woo Joo has a smile that can impress the world. And her strenuous smile, heart-warming smile, teary smile, his every ‘smile’ brings different characteristic. In episode 7 and 8, there is a scene where when Woo Joo saw the customer of Chunjiin Youg Geum (played by Kim Do Yeon) been looked down by the guy she liked, she happily said, “She is better than you by a lot.” Then, she said to Kim Do Yeon who always blames her, “I really doesn’t like this way. Always been despised by others,” and started to cry.